Rubber seal products prevent seepage of moisture or air in a multitude of applications. Qualiform is the source for custom rubber molding and manufactured rubber seal products. No matter what application, Qualiform has the experience to solve a variety of sealing problems. We provide a comprehensive line of commercial and specification grade elastomers to fabricate a variety of rubber seals. The part that’s primary fit and function. How well the part can endure its environment. Here at Qualiform, the environment doesn’t take a back seat. We maintain sustainability by using repurposed rubber as frequently as possible. Not only does this reduce our landfill waste input, but it even reduces our material costs. Qualiform is a top American owned company in the rubber molding business. All of our tooling is sourced in the United States which allows faster-lead times and faster responses to any design changes. Our talented team provides full-service manufacturing through our variety of products and services offered. 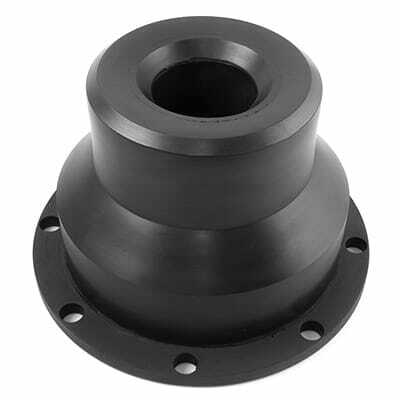 This includes custom rubber parts, rubber to metal bonding products, complex rubber products, vibration control parts, vibration isolation parts, abrasion-resistant parts, rubber gaskets, rubber seals, rubber grommets, colored rubber products, rubber bumpers, and rubber grips. Qualiform uses special compounds and unique design techniques to solve difficult molding challenges. Our team efficiently finds the best solutions to guarantee customer satisfaction. We put our customers first, therefore, we know how valuable a fast turnaround is. The fastest possible turnaround is provided by an around the clock, 24-hour/3-shift workforce.